Yesterday revealed more interesting developments in the new growing history of Star Wars under Disney as I stumbled onto the trailer for Star Wars Rebels season 3. Last year I wrote in horror that Disney had officially announced the death of the EU (Expanded Universe) so that they would be free to create without being tied to the books and sequels written and approved by Lucasfilm back in the 90s until fairly recently. Basically my entire life appeared to be wasted and in a Deathstar style blast all my favourite characters, all my favourite starships and events were all wiped out with the click of a "send" button. But it appears that this was not the end. His biography is well known to fans of the old EU, especially the original trilogy by Timothy Zahn (Heir to the Empire, Dark Force rising and The Last Command) and he was one of the mourned lost characters as he had so much to offer and such a rich history and was a definite fan favourite. The Disney Channel's Star Wars Rebels has already reached its third season (airing this autumn) and has been broadly excellent. It has used stereotypical characters from the old West End Games Star Wars Role Playing Game (Brash pilot, Bounty hunter, fallen Jedi, Warrior and Kid) and pitched them against the Empire who have slowly escalated their response in dealing with them starting with local commanders (Commandant Aresco and Task master Grint) up to ISB (Agent Kallos) and an Inquisitor (another nod to the EU which made great use of the Inquisitors) up to Grand Moff Tarkin. For season two it was escalated to Darth Vader. I've not seen Season Two yet, I'm waiting for the DVD and a weekend off with the kids but from the clips I have seen on Youtube it looks quite dark with the return of characters from the Clone Wars cartoon series (Captain Rex and Ahsoka Tano) and Darth Maul as well as the Empire forcing the rebels to leave Lothal. Season Three looks just as intriguing but with Vader seemingly taking a back seat, maybe he was to powerful a bad guy or as a busy Sith may have been called to another part of the Empire or it might have something to do with a dual between him and Ahsoka?!? 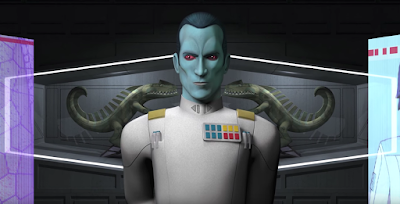 Thrawn appears to be as he was originally written by Zahn with his calm intellect using art and history to understand his enemy's method of thinking so that he can predict their reactions with his attacks being surgical rather than the usual Imperial blunt clumsy sledgehammer attacks. His return gives me, and hope that the EU is still acknowlegable with the desperate hope that my favourate may return (although unlikely) but able to settle that a Legend of the old EU is back possibly opening the way for Pelleaon, the Captain of his Star destroyer Chimera but who knows, will have to wait and see! Any way here is the trailer, what do you think? Dear Tracey - why I'm voting remain. Hi, how are you? It's been a while since we've spoken over social media but I saw your post on Facebook and wanted to respond at length and felt a blogpost was a better format than a comment. lines. I've always admired your hard work in the constituency and that all of your decisions have been well thought out. At the heart of all of your decisions is your heart, conscience and your constituency even if it goes against your party's position and that, in my mind is what a MP should do and why you have my support and admiration - if I lived in Chatham I would have, secretly, voted for you. I'm pretty much in the same position as you. When I moved house some four months ago I lost all television signal. I also try to avoid newspapers as it is far to easy to gravitate to ones you agree with and dismiss those you don't as scaremongering and hokum. A prime example is yesterday's Daily Mail headline about the ten million Turks coming this way - a headline that hasn't been seen since the crusades. I have also had some serious personal problems which almost cost me my marriage and I gave up my Liberal Democrat activities so lost that line of information. I have spent a lot of time listening to my friends and colleagues and their opinions and beliefs, weighed things in my head and come out with a side that I am mostly happy with. I agree with you that both sides are guilty of scaremongering and manipulating figures and I've tried to ignore them as well - it isn't good for my stress levels. Let me bring you to where I'm at. Firstly, and I'm sure you know this, but Medway is more than likely going to vote out. Just a cursory glance at the last round of Euro elections and the Police commissioner's election you can see UKIP surging ahead. This shouldn't have an impact on your decision as I believe it has a local colleague but it is something you may have to contend with in time. Immigration is a problem in Medway, sometimes I feel it seems a bigger problem than it is. Although international is a problem, one that always arises when cultures collide and it is a separate debate that needs to be had. The concerns are very real though with the first being jobs. It is easy to gloss over and say that a foreign worker in a job is a Briton out of work but that is not always the case. I remember seeing a segment on the South East's Politics on Sunday about Romanian Fruit pickers. The reporter went to a local job centre to ask Britons if they would pick fruit only one person said yes. It seems no one wants to clean streets, work in supermarkets or at McDonald's - all valid careers (I've worked at two of the three). I think blaming immigrants for the strain on services has also got flaws. When I was born in 1980 there were three hospitals and Canada house, now we have one that is struggling to meet demand. On the rare occasions I go to the GP with the children it is not a swarm of foreigners in the waiting room but white Britons with minor ailments that my parents would have self medicated. Successive British governments have cut hospitals and other services including the police and fire brigade as well as selling off social housing. It was only a matter of time before we reached this point and although it is easy to blame Europe for reaching it now it is hard to believe it could be avoided. On the subject of cuts the EU also invests money into many projects and businesses across the nation and in Medway including youth and tourism projects. The BREXIT campaign would argue if we weren't in Europe and sending £Xm a year (whatever the final figure is) then the British government would invest in them. I find that a bit of a tall order especially in these times of austerity and the government would find "better" places for the money to go. It is true the EU is far from perfect and there are many things that need reforming but there are also some great bonuses too. As a member of a family of Police officers I cannot tell you how excited I am about the EU policing treaties that allow us to share information and issue warrants for those who commit crimes and try to hide abroad, no more buggering off to the Costa Brava after a jewel heist. A good example was a man who posted indecent images of children on the Internet. Within hours the Danish police had picked them up and using location and search tools were able to pin-point his residence and the following day the Leeds police raided his home. For me, I worry about economic uncertainties. Britain is no longer a global Empire that produces the majority of the world's ships or refined cotton. 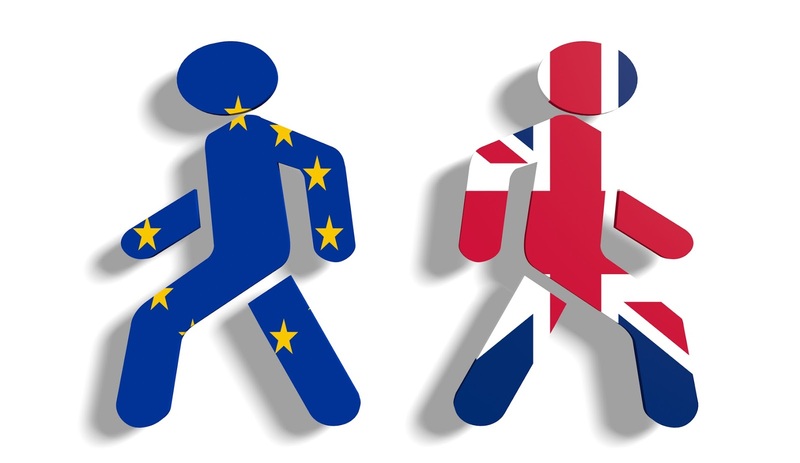 Should Britain leave we'll have to negotiate our own trade treaties with the EU, America and Far East but what do we trade? We can't fall back on the Commonwealth. When I look at the Brexit I think of the first game of Connect 4 I played with my daughter. When she lost she folded her arms and refused to play any more. It is a priceless look that I'm sure you'll see it on Freddy's face in the near future - it is a priceless expression. You're playing in the Euro 2016 final against Germany, Thomas Müller takes a dive as he passes you and the Ref calls you over for a yellow card. Do you walk off the pitch, hang up your boots and refuse to play anymore OR do you protest the decision, fight to clear your name and carry on with the game? I personally believe if our MEPs embraced the EU rather than refusing to do anything, as our current UKIP MEPs do, we might get more of a say. I look back at the state of Britain and Europe over the last century and there is a declining Empire, distrust of minorities, finances wrecked by bankers and general strikes as well as a continent ravaged with world war twice. I see a lot of what has happened before still happening now but things are improving especially with international cooperation. I can't help thinking it is better the devil you know. I want to make a sound decision for my children and their children and I hope that I have made it. I know that you will make your decision after many hours of consideration with your heart and conscience without being pressured. I hope all is well with you and your new family. All the best, and good luck making your decision. P.s. Remember me when you are Prime Minister and you want a biography written - my publisher's always after new ideas and I'll write a very good one! I realised yesterday that I had made no grand announcement and didn't want groups like Medway yet again. 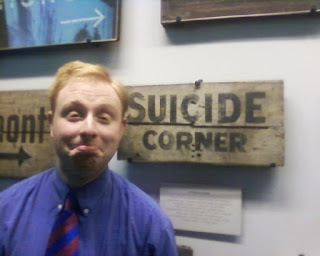 I have indeed left the Liberal Democrats. It was not a political decision or a disagreement or because of local issues - it was due to mundane selfish reasons. I joined back in 2009 and supported my party proudly, stood in two local elections and a by-election, represented the party at hustings and school debates. I believe in Liberalism to my very core and truly believe Tim Farron is the leader to take the party forward. I was deeply disappointed last year with the results. I grew up in Gillingham South and love the area as much as I love Liberalism. Whatever I say will be interpreted as sour grapes by some so it's best I say nothing more. 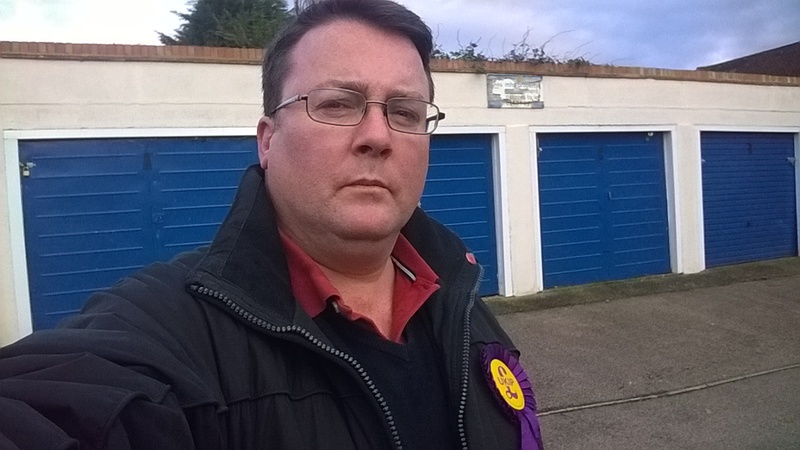 I have now moved out of Gillingham South to another part of Medway, a part I know very little about and it is against my belief to stand for a ward I don't live in. A new house, new life and personal problems at home mean I need to dedicate my time and resources elsewhere. I also have another book to write which is dominating my spare time. I've got some eight months and 80,000 words to write so as you can imagine I'm more than a little busy. I also tire of the political sniping on Twitter. Every time I made a political statement or dared to question a Labour member all I got was "The LibDems. Blah blah" or general crap (thank god for the mute button!) and frankly can live my life without it. Man I can live without it. The sniping is one of the things I hate about politics - it isn't about issues its all about one-up-man-ship and it is all really childish. I really won't miss that. When my subscription ran out a few months ago it made sense to let it slide. I didn't announce it before because... Well I didn't think it was worth mentioning as being a LibDem was not my defining facet - I always thought that was being Sophie, Ollie and George's dad.... I quietly changed my bio on Twitter to just be about my writing and went about my life retweeting political comments from all parties and thought that was it. By the by I'm not interested in joining any other parties, sorry. Last year my wife, Sam, did a sponsored De-Chox to raise money for the British heart foundation. For a whole month she gave up chocolate in all its forms which for her is a HUGE deal but she was strong and succeeded in raising many monies. This year she is taking Sophie along and our little five year old has vowed to be as strong as her Mum - even though her chocolate in take is fairly low anyway. For those of you who aren't regular readers my son George (14 months old) was diagnosed with Pulmonary atresia before he was born. The left atrium was non-existent and the ventricle that pushes blood to the lungs massively under developed. At three days old he had heart surgery to put a shunt in his heart and again at 8 months to turn his heart from a defective four chamber heart to an effective two chamber one. In three years he has to have a final surgery to complete this. The British heart foundation were a great resource of information for us to research the condition and what needed to be done, meet other families who have gone through what we were about to go through. Commonly you think Heart problems and you think of over weight people suffering heart attacks but it really does strike many. There are conditions that I'd never even dreamed of let alone thought one of my children would be struck with. Sam has joined a couple of the support groups where parents with Heart babies can get together to talk, socialise and help each other through and there are some truly heart breaking stories with children, some only a few days old, in life or death states and sadly - not all are as lucky as George. The Heart Foundation does so much good work in research and support to try and help sufferers and their families and is deserving support. Sam's target is £75 and I believe she's almost made it - please help her, even if it is a few quid. Do it for the kids, do it for yourself in case you get heart problems, do it to make my life hell... Whatever floats your boat! Here's her Justgiving page if you want to help. With the announcement that the UK is to hold a referendum all the political parties are drawing up lines. The Liberal Democrats are united as part of the IN choice and will be joined (eclipsed) by elements from the Tories and Labour against UKIP, George Galloway and elements of Labour and the Tories. For me it is a no brainer and the EU membership offers vast opportunities if we led and tried to reform it rather than follow the UKIP line of voting "No" to everything if they turn up at all. Also with my belief structure a united Europe with a strong Germany at the heart is always an appealing notion! Any way I won't try and sway your vote (just yet) as this isn't today's scope. My big question is why are we IN parties going to bother? Brexit will win hands down. Yes, George Galloway (possibly the most hated person in British politics by politicians) is a liability, yes there will be infighting by Tories and Labour unhappy with being on the same platform and then there is the UKIP scion which no one wants to openly admit working with. Ultimately though their disunity and infighting will not damage their campaign at all as the vote is all about the issue not how they go about it. For years the British press has been filling their headlines with stories of Europe with not all of them true, after all stories of the EU investing in community projects, forming international police task forces to combat major crimes or getting rid of those pesky data roaming fees just doesn't sell papers as blowing up little stories into chaos. In the last fifteen years I've seen British sovereignty under threat more times than in the fifty preceding years. We've had X million Poles, X million Romanians, X many Hungarians and now a wave of countless ISIL terrorists are coming via Greece and Turkey disguised as refugees all granted citizenship by Germany and allowed to come here to steal our jobs and benefits! 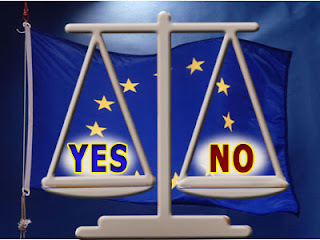 The EU have attacked our Chocolate, our bananas need straightening, our laws, our way of life and their courts (which are separate to the EU) have over ridden the decisions of our judges on our crimes etc... Bastards. Brexit is seen as the only way to stop these countless waves and raise the drawbridge guaranteeing British people their money and jobs for hard working Britons (Though I look forward to the waves of former unemployed fruit picking or manning the grills at MacDonald's), make Britain Great again and restore sovereignty to the country before returning it to its former glory. There is such a web of half and untruths to fight through and deep seated fears that ultimately the "In" campaign have a veritable mountain to climb and the victory we're all smugly thinking isn't as achievable as we think (though I pray that it will be) and come the end of June we'll be saying good-bye to our European buds and isolating ourselves further. This is all before you say "The Lib-" (usually when doors close or interest is lost). Farrage still has a lot of support from grass roots who think he can do no wrong. So confident am I in my defeatist prediction that I will make this wager - *if* the UK votes to stay In I will put in the Acknowledgments of my next book; "Thanks to Nigel & George for pulling a Porkins"
Come on Britain... It's worth voting "In" for that! It didn't take long to realize, in fact I had only walked from Platform 8 to the Swatch kiosk on the concourse. I ran back and the Southeastern barrier guard very kindly let me back through. I ran up and down the train frantically searching for it. This sounds silly, I know, but this scarf holds a great deal of sentimental meaning for me. It was my first piece of Gillingham kit God knows how long ago from my Granddad - who hated football but was trying to indulge my interests. I was frantic as it could not be found and I was resigning myself to filling out the lost property and, to be honest, its total loss to oblivion when I saw it. It is unmistakable and to be honest there are not that many Gillingham fans! It wasn’t on the chair I'd been sat on or in the floor - it was cruising past the window in a rubbish sack! I jumped off the train and politely asked for its return before scuttling off. I thanked the barrier staff again and they asked me if the cleaner had given it to me. I'm very grateful for the return of my scarf and for the help provided by the Southeastern staff but I am concerned that the lost property was in fact thrown away and when it was given back to me it was wet and covered in cold coffee and it worries me that other lost property may be being disposed of rather than being taken to lost property.